Dr Alfred Rutagengwa, district hospital director, Bugesera, Rwanda shares why he’s passionate about malaria control and how he’s kept all his children malaria free. Dr. Alfred Rutagengwa is a master of grace under fire. As a district hospital director he is responsible for responding to disease outbreak, overseeing delivery of health services, and promoting healthy behavior among 365,000 residents in Bugesera district in Eastern Rwanda. Malaria is one of the leading causes of illness in this community. Working in close partnership with the Africa Indoor Residual Spraying project (AIRS), Dr. Rutagengwa helps to prevent malaria by deciding which communities to target with indoor residual spraying (IRS), evaluating if there are any health side effects from IRS, and screening IRS workers. He shares what inspires him and how he’s managed to keep his children malaria free. AIRS: What are the major health problems in your district? Dr. R: Upper respiratory infection, parasites such as hook worm, non-communicable diseases, and malaria are the major health issues in our district. Currently, Bugesera District experiences the third highest malaria burden among 30 districts in Rwanda. AIRS: You began your career as a medical doctor. Do you remember the first time you treated someone for malaria? Dr. R: I remember it vividly. There was a child in pediatrics younger than five years old. He came to the hospital with severe malaria. He was in a coma. Initially, I was so scared my hands were shaking. I thought he might die. I gathered my composure and tested the boy for malaria using microscopy. As soon as the test came back positive, I rushed to treat him with quinine. After about three days in the hospital, he seemed to come out of the coma. He would react when people spoke to him. By the fifth day of treatment he was able to stand and eat by himself. That was a really powerful moment for me. AIRS: AIRS is completing IRS in 12 sectors in Bugesera District in order to prevent malaria. What results have you seen from IRS? Dr. R: IRS is very important because it has helped to reduce the malaria prevalence in this community. We wish that it could be carried out in all districts, but non-IRS districts are mostly covered with mosquito nets. The ideal situation is to attack malaria through multiple interventions. AIRS: How has the community reacted to the IRS campaign? Dr. R: The community has had a positive reaction to IRS. They know that IRS helps us to kill mosquitoes and prevent malaria. AIRS: Currently, people in your community are using long-lasting insecticidal nets and IRS to prevent malaria. What more is needed to fight malaria in this district? Dr. R: Eliminating malaria requires several interventions including mosquito nets, indoor residual spraying, and better hygiene practices. These interventions require sustained support. For example, many people in our community have mosquito nets, but they need to be replaced every few years in order to be effective. AIRS: None of your children have gotten ill with malaria. What’s your secret to keeping your family healthy? 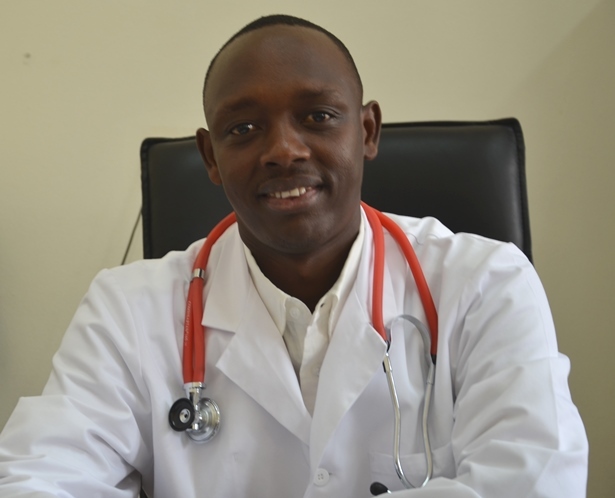 Dr. R: As a father of four, I am vigilant about protecting my family from malaria. I have my home sprayed during the IRS campaign. I make sure all my children sleep under mosquito nets. This prudence has paid off—not one of my children has ever gotten sick with malaria. I urge the people in my community to do the same so we can all be safe from malaria.